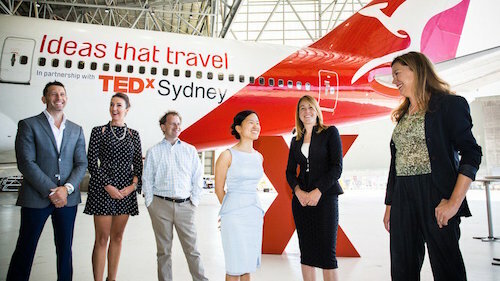 To celebrate QANTAS’ reintroduction of their Sydney to San Francisco flight, they decided to host tech talks in the sky, in collaboration with TEDxSydney. On 17 February, I participated in QANTAS’ Tech Talks in the Sky by doing a demo where I controlled Teleport with my brain, while the plane was flying over the Pacific Ocean from Sydney to San Francisco! This showcases the use case of someone with a disability being able to control Teleport from home, while being productive and participating in meetings at work. Travelling internationally with Teleport on commercial flights has really forced our team to work hard at making Teleport as easy as possible to travel around with via plane, so after this trip, we redesigned a few features to make Teleport more transportable. Check out my speech below!